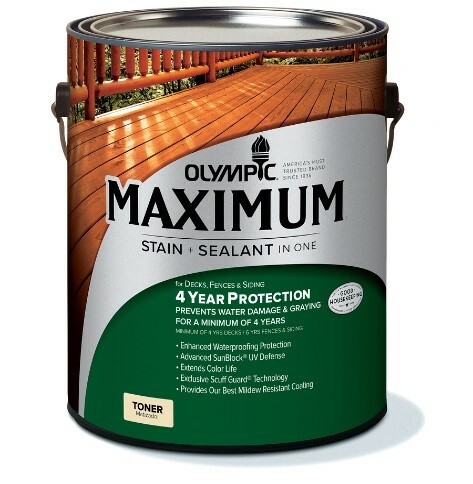 Olympic guarantees its MAXIMUM-brand stains will prevent water damage and graying for a minimum of six years (Semi-Transparent) and four years (Toner) on decks and eight years (Semi-Transparent) and six years (Toner) on fences and siding. 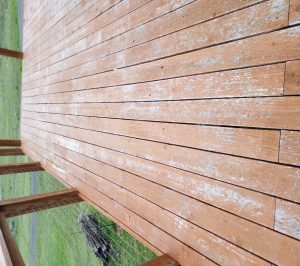 These are bold warranties for stains that are cracking, chipping, and peeling on many customers’ decks and fences within a year of application. Frankly, the product cannot meet Olympic’s lofty guarantees. Worst of all, Olympic MAXIMUM Stain + Sealant in One is not a cheap or bargain product. Customers pay about $40 for about 150 to 250 square feet of coverage. 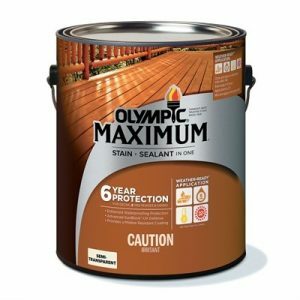 Olympic MAXIMUM Stain + Sealant in One is sold at Home Depot, TrueValue, Walmart, and other retailers across the country as a premium product. 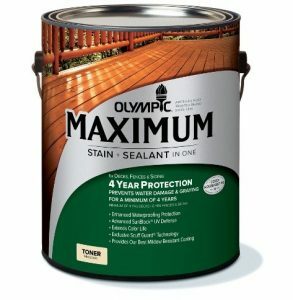 Using Olympic MAXIMUM Stain + Sealant in One is a costly staining project, especially after using Olympic’s deck cleaner or other cleaning products, which cost about as much as the MAXIMUM Stain + Sealant. Purchasing, the stain and cleaner is only the beginning too. 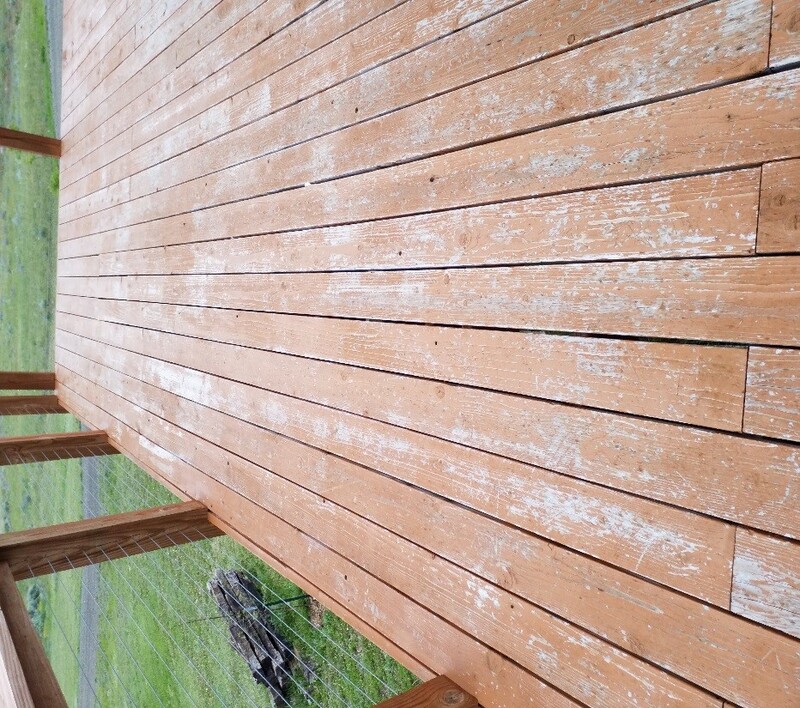 Then you have to spend the time to actually clean the deck, let it dry, and then begin staining, all of which can take a few days. That is why many customers hire a contractor to do the work, which adds even more costs to a project that eventually results in an unsightly deck covered in a bubbling, cracking and peeling stain. It is easy to see why customers are so upset with Olympic. Many of them bought the MAXIMUM Stain + Sealant in One because of the six and four year warranties. Given how expensive and time consuming the process is, it makes sense to opt for the premium product with the longest warranty. Despite these multi-year warranties, however, customers are complaining about chipping, fading, cracking, peeling, and general wear and tear within the first year of application. Just read a few of the complaints on Olympic’s own website. Sure the color may look great right after you finish staining your deck or fence, but if the MAXIMUM Stain + Sealant in One gets scratches, chips or cracks once you actually use your deck it has completely failed to meet Olympic’s marketing claims. That is exactly the situation faced by consumers who made complained of Olympic MAXIMUM stains cracking, peeling, flaking and chipping on Home Depot’s website. You can find similar complaints on deckstainhelp.com as well, which gives the product a poor score for the “Wear/Tear and Peeling” portion of its review. Based on the countless online complaints about Olympic MAXIMUM Stain + Sealant in One – Toner or Semi-Transparent stains, it is clear that the warranties are a marketing gimmick to entice consumers to purchase these stains instead of a competitor’s product. If your deck has experienced this accelerated wear and tear, whether it is chipping, cracking, or peeling, prior to the warranty period, you should look into hiring an attorney to get back your money. For its part, the national Plaintiffs’ firm Cafferty Clobes Meriwether and Sprengel LLP is investigating Olympic’s misleading warranties, and would be able to discuss any potential claims you may have as a result of the chipping, cracking, or peeling of Olympic MAXIMUM Stain + Sealant in One – Toner or Semi-Transparent stains.